In the ranking of universities in Indonesia based on Webometrics version in 2017, there are 5 campuses that occupy the position as the best campus in Indonesia. 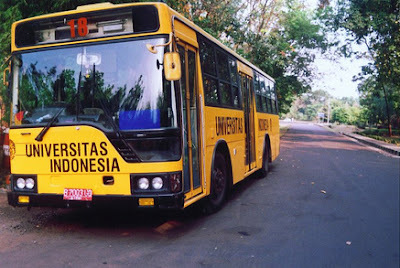 Five campuses are Indonesian universities, Gadjah Mada University, followed by Institut Teknologi Bandung, Bogor Agricultural University and Brawijaya University in fifth position. This ranking is based on Webometrics' assessment of 4 indicators: Attendance or the number of university page pages recorded by search engines (Google), Visibility or the number of unique external links (backlink numbers) received by the web domain of the inlinks recorded by search engines (Google) and more. Webometrics is a university ranking system of web-based internet sites around the world. Webometrics bases its ranking on the assumption that university presence and visibility can be a global performance indicator of a university. This indicator considers research results, teaching commitments, international prestige, and public relations in the industrial and economic sectors. The purpose of the university's Webometrics ranking is to support open access to academic materials and scientific publications such as journals, papers and other scientific documents through the web institute, as well as to promote the university's web pages. As the best university in Indonesia that ranks first, University of Indonesia (UI) has met all the above requirements. Currently UI is actively doing innovative learning and ICT-based research. Given the current state of ICT-based education, the University of Indonesia has developed a special website to publish journals and other scientific works both nationally and internationally that can be downloaded not only by the UI academic community but by everyone. Through the website, UI is committed to simplify and expand the knowledge transfer process. Other campuses can use the facility as a means to improve the quality of institutions for the betterment of the Indonesian nation.